Finnish architect Viljo Revell designed the unique and strikingToronto City Hall that opened in 1965. But it took years of public discussion, debate and at times acrimonious political maneuverings, to achieve the final result. 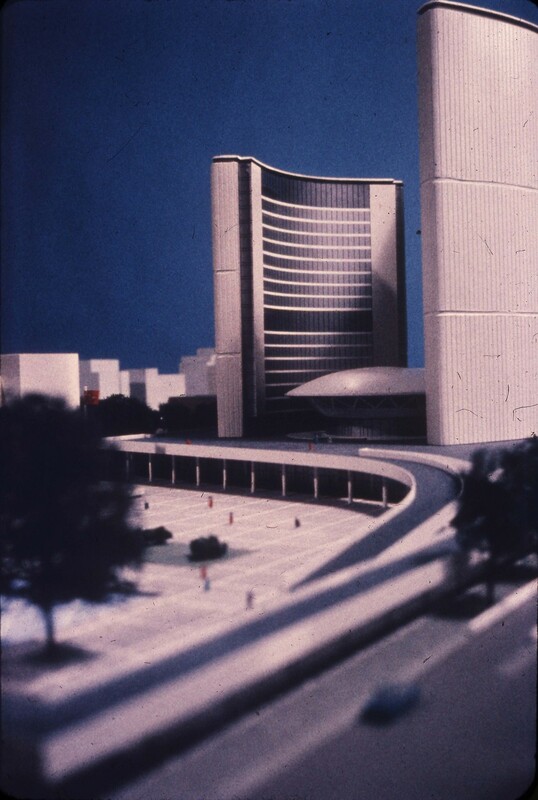 Land for a new city hall began to be assembled in the late 1940s, and in 1953 the city commissioned three Toronto architectural firms to plan the new building. Their design and the $18 million cost caused a huge controversy. Architectural proponents in particular decried the plan that was described as "a funeral home" by architecture students at the University of Toronto and "a very poor pseudo-modern design" by none other than Walter Gropius, founder of the Bauhaus Movement. Registry office at Albert and Chestnut Streets, Toronto, ca. 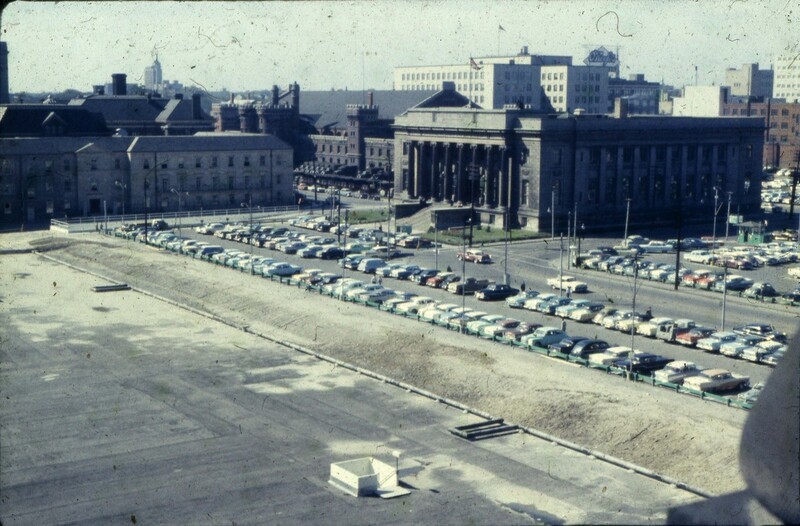 1958. The Registry office was on the future site of the new City Hall. Toronto voters ultimately said no to the proposal in a 1955 referendum. But in a second referendum in 1956, a budget was approved, though there was no design to go with it.